The industrial style became mainstream in the 2000s and is still one of the most inspiring aesthetics to be used in contemporary interior designs. It’s a look that emulates an edgy rawness, but still retains a trendy aura. 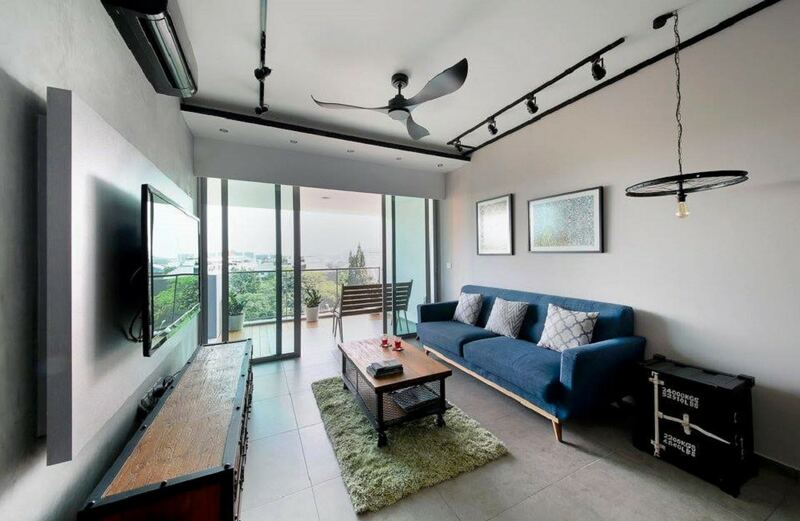 Today, we’ll be featuring some of the lesser known ways you can emulate the industrial style in your home interior designs. Since the industrial style mostly takes its cues from the aesthetic of old warehouses and factories, there are a lot of greys and other understated colors used in this look. Most people do not know that you must counter balance the dullness of the base grey palate in order to make this style visually pleasant. Without proper contrast, there can be no visual attraction, so always use artwork or furniture to balance out the greys. 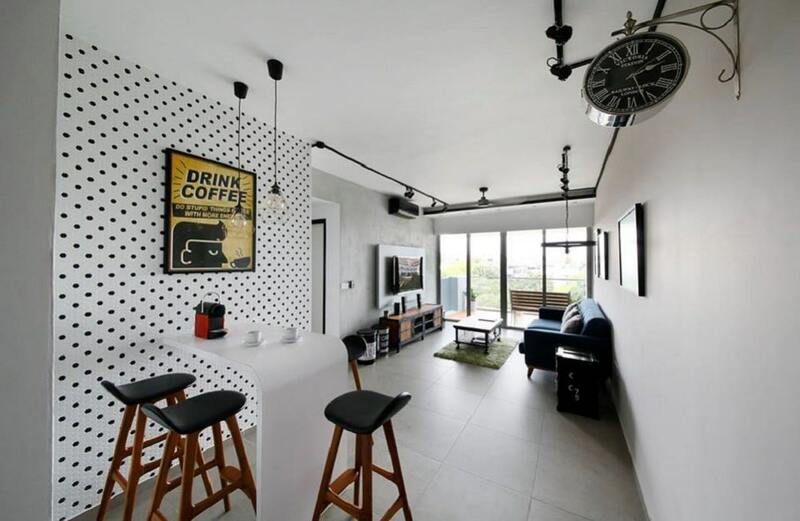 What’s the most prominent feature that gives any industrial style interior design its edgy appeal? It’s the recycled objects that have been used as decorative accessories in the current space. 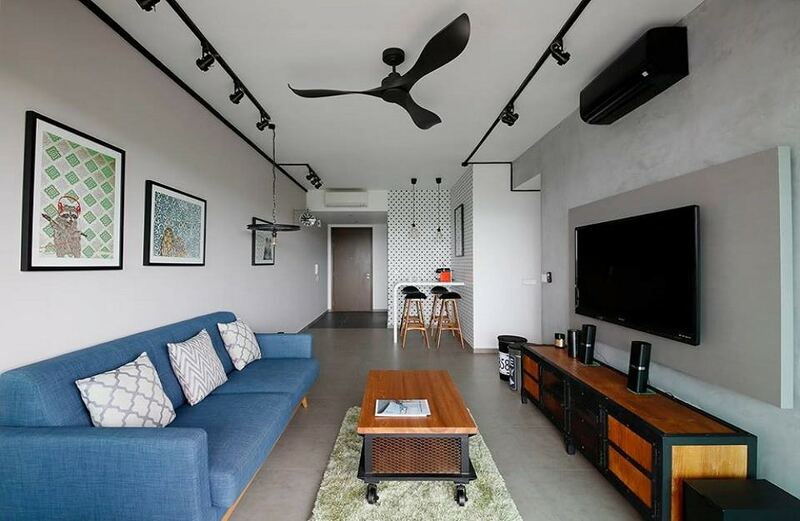 The bicycle wheel hanging light above the side table beside the sofa is the perfect example of how such recyclables can be used to add an edgier look to such interior designs. The basic inspiration of the industrial style has been derived from the factories and warehouses, where the most common version of artwork is always signage. Therefore, the trendiest form of accessorizing you can manage in your interpretation of this style is to emulate the signage in your interior designs as well. 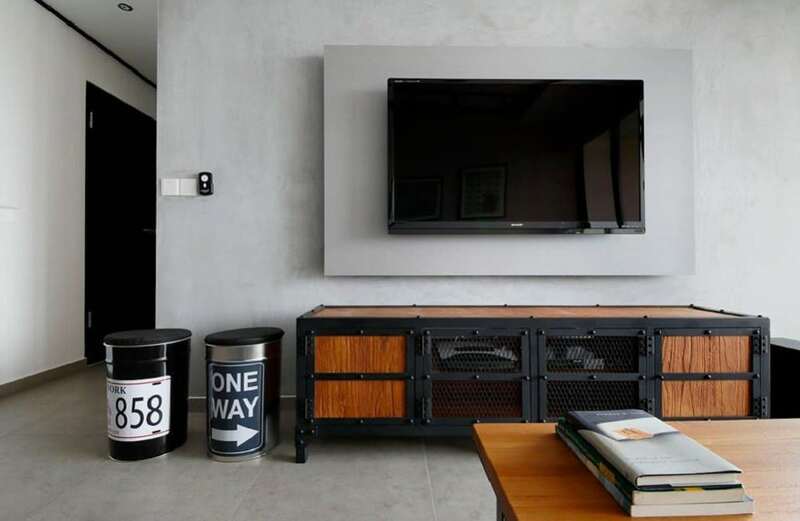 The waste baskets in this living room are a great example of the signage incorporation in industrially inspired interior designs. While taking inspiration from industrial spaces like factories and warehouses is all well and good, you must never forget to humanize this aesthetic when emulating in interior designs. 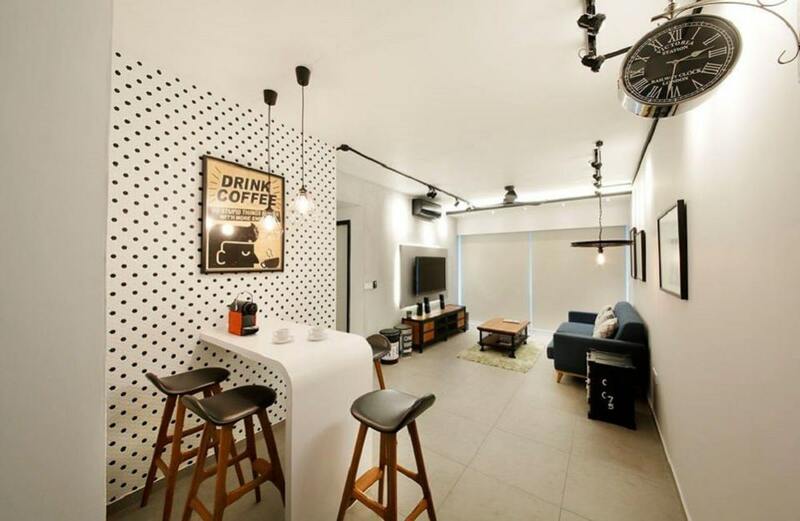 The polka dotted accent wall that features the small dining nook in this image is a great example of how you can do exactly that without diminishing the edgy aura of the industrial style. Metallic finishes in both matt and gloss are another quintessential part of the industrial style. However, you must be subtle about using them. You can imbue them through various accessories, light fixtures, decorative objects and even furniture trimming.